The diverse culture and topography of India crops a great scope for tourism. One of the most frequented parts of this country is its southern region. This breathtaking tourist destination of India is renowned for its utter natural exquisiteness and rich cultural inheritance. 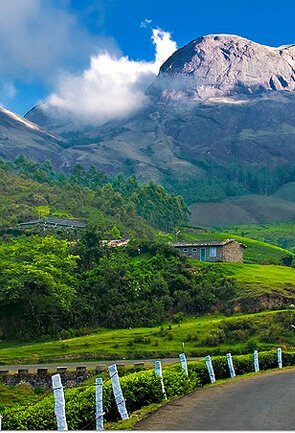 For the tourists planning for a trip to rejuvenate the senses and relish the paramount opulence of nature, South India is an ideal destination. From beaches to backwaters, hill stations, wildlife, coffee gardens, temples, there is so much to savour and experience in this arresting region of India. 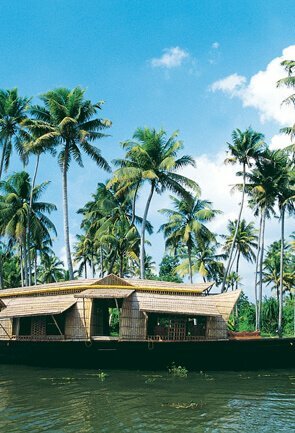 When the tour to South India is jumbled with Goa trip, the charm increases two fold. This itinerary covers almost all the important and captivating destinations of South India along with the excursion in Goa as well. 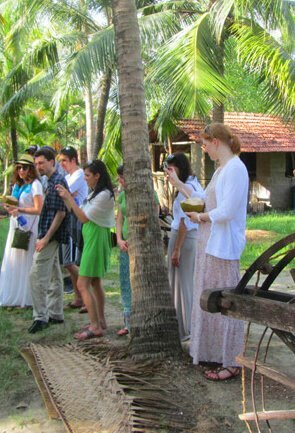 This tour makes certain that the tourists return with bag full of lifelong memorable and congenial tour to South India. 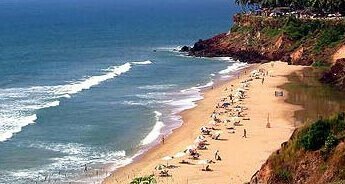 On arrival at the beach capital of India, Goa, our representative will be there to greet you and transfer you to the hotel. After check in at the hotel, freshen up and relax. Rest of the day is free for leisure. Goa is a world famous tourist destination of India especially among the beach lovers. It is acknowledged for its abundant natural beauty, shiny beaches, feats and festival, old churches and temples, and evergreen hills and mountains. This small yet beautiful state of India is blessed with a lot of beaches such as Anjuna Beach, Baga Beach, the Candolim Beach, Chapora beach, Vagator and Dona Paula Beach. 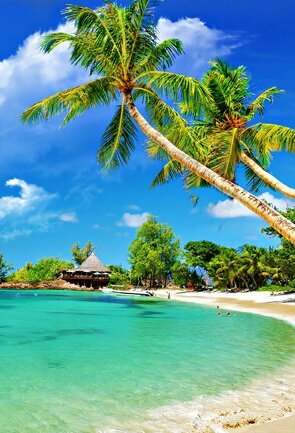 All these beaches are popular for its scenic beauty and lively ambience. In addition, old Goa has many important Cathedrals and churches such as St. Catherine's Church, Church of St. Francis Xavier and Arch of vice Roy of Goa. You can visit these famous places of Goa during your leisure time. 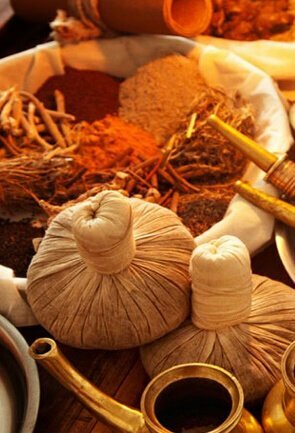 Later, in the evening you can take pleasure of the Ayurveda massage and relax near the beaches. Enjoy dinner and an overnight stay at the hotel. Today morning, we will fly to Mangalore. On arrive in Mangalore, we will drive to Udupi, after refreshment, we will proceed for the local sightseeing of the land of the "lord of the stars". 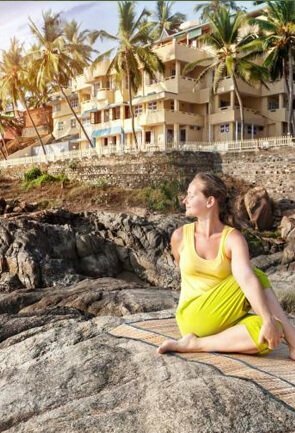 Sandwiched between tranquil Arabian Sea on the west and the verdant mountains of the Western Ghats on the east, Udupi is a land of spiritual beauty. The place is famous for its religious passion and vivacity among those who wish to take a religious pilgrimage and give boost to their spirituality. The Sri Krishna Temple, is famous for Navagraha Kitiki, a window with nine holes, from where Lord Krishna is worshipped. 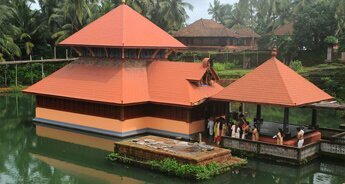 Ambalpady is another holy place known for its complex of several temples. 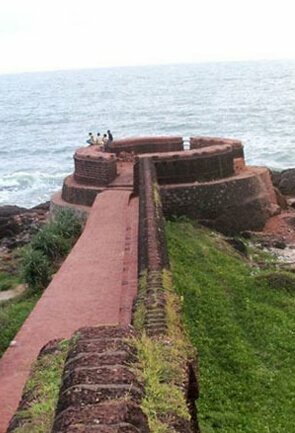 Further, Kaup and Malpe beaches are the major attractions of the town. Some other places that are worth exploring in Udupi are Balakrishna Temple, Pajaka village and Indrani Panchadurga temple. Later, in the evening return back to the hotel to enjoy delicious meal followed by an overnight stay. We will drive to the hill station of Chikmagalur, which is located in the southern state of Karnataka. It comprises of deep valleys, massive hills, historical temples, wildlife sanctuaries, silver-waterfalls and beautiful coffee blossoms that together make this hill station a paradise for the visitors. Further, we will proceed to Mullayangiri in order to get some breathtaking views of the region. Mullayangiri is a part of the Baba Budan Giri Hill Ranges, which is the highest peak in Karnataka. 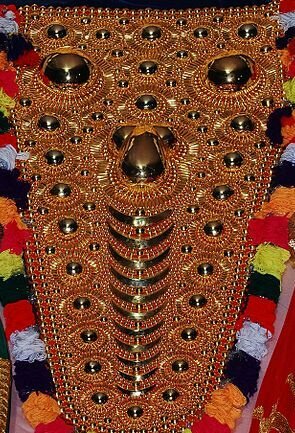 On the way, we will visit a Sitalayanagiri where the water in the Shiva temple neither decreases not increases. Thereafter, we will visit Hebbe Falls. Water streams down from an altitude of 168 meters in this beautiful waterfall. 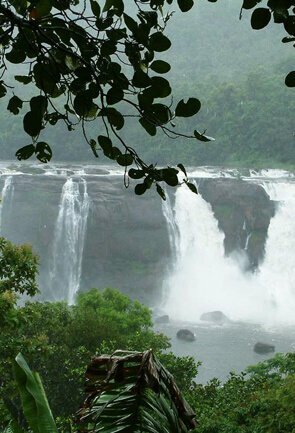 The region is also blessed with the famous Kudremukh National Park and Bhadra Wildlife Sanctuary. In the evening, we will be visiting the Raj Bhavan to get the glimpse of its beautiful sunset scenes. We will also explore the numerous coffee producing areas and the Rose Garden to explore varieties of roses. In evening, return back to the hotel to enjoy dinner followed by an overnight stay. In the morning after breakfasts, we will proceed for Mysore by road. En-route, we will be visiting the Shravanabelagola temple, whcih is one of the major Jain shrines. There are various statues along with the famous statue of Gommateshwar around the temple. On arrival at Mysore, check in at the hotel and take rest. After lunch, get ready for sightseeing tour of the 'City of Palaces' Mysore. Well defined by scenic gardens, magnificent palaces, luxurious silks, fragrant sandalwood and festivals. Here, we will be visiting the Palace of Mysore also known as the Amba Vilas Palace. It is a splendid structure designed in the Indo-Saracenic style. Further, we will be visiting Chamundi Hill, Brindavan Garden – the famous gardens at the Krishna Raja Sagar Dam. Later, return back to the hotel to enjoy the delicious food and an overnight stay in the hotel. After breakfast, we will proceed for a visit to the Chamundeshwari Temple which is located on the top of Chamundi Hills and the Lalitha Mahal. Further, we visit the Kukkarahalli Lake also called Kukkarhalli Kere. This beautiful lake is located in the heart of the Mysore. Also, we will be visiting the art gallery of dayaganmohan Palace and the beautiful Karanji Lake. Later, we will transfer you to the railway station to board train to Chennai. On arrive in Chennai, we will drive straight to Mammallapuram. After breakfast, we will proceed to visit Mamallapuram. Later on, we will drive to Pondicherry. On arrival at Pondicherry, check in at the hotel. 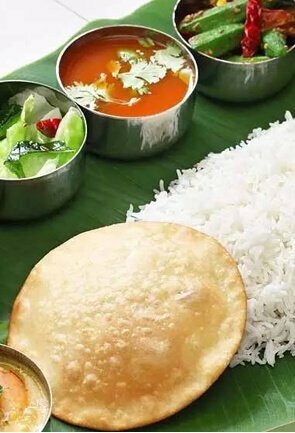 Evening is free for leisure to explore city, enjoy delicious meal. An overnight stay at the hotel. Mamallapuram is a UNESCO World Heritage site and an architectural wonder of Dravidian style. As the name suggested, this temple overlooks the Bay of Bengal. Arjuna's Penance filled with detailed carvings, including a family of elephants and monkeys, Varaha Cave Temple, an example of Indian rock-cut architecture. The day is fixed to explore the beautiful Pondicherry city. Puducherry is a well-planned and beautiful city also known as "The French Riviera of the East" -Puducherry. It is now recognized as Pondicherry which was used to be a French colony. The city is blessed with lots of French element all around which gives it a unique look. Some of the major tourist places to be visited here are the beach, museum, Auriobindo ashram, Auroville, botanical gardens, and the French Quarter. Paradise beach of the city is famous for its beautiful half moon shape and dolphins. 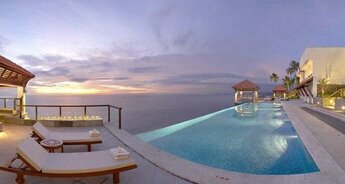 In the evening, you can just revive your day experience and relax. Later return back to the hotel for dinner and an overnight stay. Today early in the morning, we will travel by road to Thanjavur, also known as Tanjore, located on the eastern coast of Tamil Nadu. On arrival in Thanjavur, check in the hotel. Tanjore is well known as 'the rice bowl of Tamil Nadu'. It is famous for its arts and architecture from the time of the Cholas. The Cholas built most of the 93 odd temples here. The most famous one is the Brahadeeswarar Temple. It is one of most prized architectural sites of India. The temple was constructed more than thousand years ago by the King Rajarajan. Thanjavur is a thriving centre for bronze sculpture and painting. The uniqueness of the Tanjore paintings is their awesome gold leaf work, attractive jewellery with stones, dazzling color design, and eye catching carve glasses. These paintings will illuminate in the dark room. 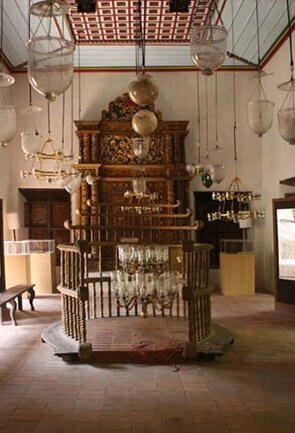 Some of the major places to visit in Tanjore are The Shrine of Sri Subramanya, Thanjavur Royal Palace, the Art Gallery and Museum, Schwartz Church and the Saraswati Mahal Library. Later in the evening return back to the hotel for dinner and an overnight stay in the hotel. Early in the morning, we will drive to Karaikudi. On arrival, check in at the hotel. After breakfast, we will proceed to explore one of the biggest cities in the district of Sivaganga that lies in the Tamil Nadu state of India between two famous place of Trichy and Rameshwaram. 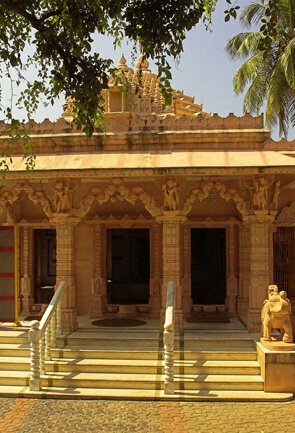 A great place of worship, the place is famous for the temples dedicated to Ganesha or Pillaiyar, the elephant god. Karaikudi is famous for the Chettinad House that accommodate a number of peoples for gathering and celebrations. It is now converted into a magnificent museum. Major tourist attractions of Karaikudi are Kamban Mani Mandapam, Pillaiyar Patti Lord Ganesha temple, Athangudi tiles factories, famous for handmade tiles and The Meenakshi-Sundareswarar temple. Now return back to the hotel to enjoy dinner and an overnight stay. Today in the morning, we will arrive at Madurai and check in to the hotel. After breakfast explore the city of Madurai. The temple city of Madurai which means "sweetness" is an ancient city, located on the bank of the Vaigai River. It is surrounded by numerous mountains and 3 hills as its city boundary. Because of its rich cultural heritage and architectural magnificence, the city is often referred to as the 'Athens of the East'. It is famous for Jasmine Flowers. Madurai is full of lively bazaars, pilgrims and rickshaws that attracts thousands of pilgrims and visitors for its magnificent monuments as the Gandhi Museum, constructed in the loving memory of the Father of the Nation and the Thirumalai Nayak Palace is an example of architectural splendor, the airy corridors of the Sri Meenakshi Amman Temple dedicated to goddess Parvati, Vandiyur Mariamman Teppakulam is the pond located near to Vandiyur Mariamman Temple. In the evening, we will visit Athisayam park which is famous for its water rides, recreating the experience waterfalls and return back to the hotel for dinner and an overnight stay. After breakfast in the morning, we will start our journey of the day for Periyar. We will drive through paddy fields and vast spice plantation. On arrival in Periyar, check in at hotel. Periyar is famous for its wildlife sanctuary that owns a beautiful lake at the center. It is a permanent source of water for the local wildlife take a dip or to drink. 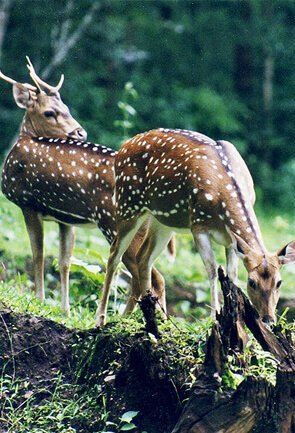 Also known as the Thekkady Wildlife Sanctuary, this place is ideal for watching the animals in their natural habitat. The wildlife sanctuary is mainly known for its tiger reserve. Every year lots of tourist come here to see the Indian elephants, Tigers, Leopards, Malabar Flying Squirrels, etc. In addition to elephant rides, visitors can sail on the lake and take a trip to the ruined Mangaladevi temple – an attractive old stone temple nestled in the heart of the Thekkady forest. After exploring the sanctuary return back to the hotel to fresh n' up and enjoy delicious meal followed by an overnight stay. In the morning after breakfast, we will witness the splendid view of sunrise through Boat riding on Lake Periyar. It is also a great way to see the Flora and Fauna of the Sanctuary and spice plantations like pepper, coffee, cardamom, cinnamon, tea estates, coconut plantation, etc. Further, one can also see wild animals like elephants, deer, tigers and leopards. In the afternoon, we will try Bamboo rafting and trekking, which is another unique activity in the Periyar National Park. 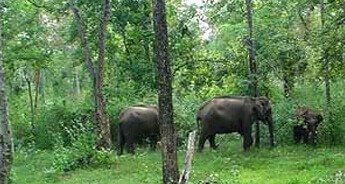 One can take a hiking and rafting trip through the deep jungles of the Periyar Tiger Reserve and also visit Periyar National Park, which is situated in the hills of the Western Ghats. On the way back to the hotel, you can stop at the local market and pick up some fragrant spices and get practical experience in Pollachi cooking techniques. An overnight stay at the hotel. 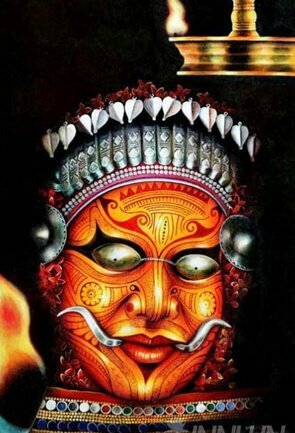 Today in the morning, we will start our journey to the rich beauty of coastal Kerala. 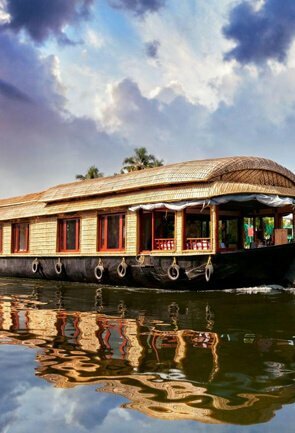 On arrival, check in at the houseboat which is well equipped with all modern facilities. 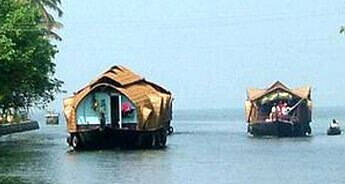 Backwaters of Kerala are a network of lakes, canals and deltas of forty-four rivers that drain into the Arabian Sea and are unique natures. They are found nowhere else in the world and are popular for water sports, traditional boat racing and the forests with coconut trees allure tourists from around the world. Place to visit in Kerala are Alappuzha backwater, Kuttanadu, Ambablapuzha Shreekrishana Temple and Pathiramanal, a small island which is a favourite place of hundreds of rare migratory birds. 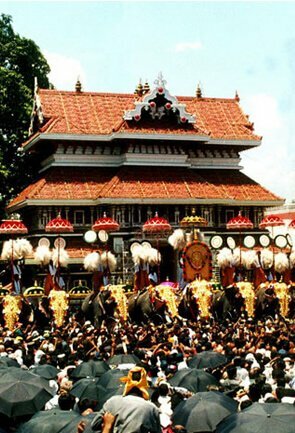 And, you can visit the Guruvayur temple which is dedicated to Balagopalan, the child form of Lord Krishna lies at Guruvayur and popularly known as the Dwarka of the South. In the evening, return back to the houseboats hotel and watch the romantic view of the sunset. Enjoy dinner and an overnight stay in the middle of the water. In the morning, we will proceeds to Kochi. On arrival in Kochi, check in at the hotel. We will leave for sightseeing tour of Kochi. Kochi is a modern city well known as the "Heart of Kerala". It is the overwhelming picturesque and prosperous state of Kerala, known as 'God's Own Country' and also one of the finest natural harbours of the world and was the centre of the world spice trade for many centuries. 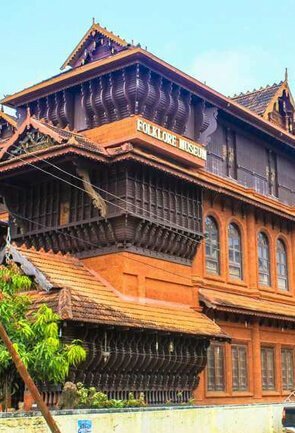 On the sightseeing tour of Kochi, we will walk along its streets and explore all its highlights, ancient churches, Dutch buildings, Portuguese artistic and British monuments. Some of the major tourist places in Kochi are the Cochin Fort, The splendid Bolghatty Palace and The Chinese fishing nets at Fort Kochi that uses a mechanical method to catch fishes. At the sunset return back to the hotel to enjoy dinner followed by a night stay. In the morning after breakfast, we will enter the heart of through Kochi backwaters and coconut trees lining the glassy lake waters. We will continue our drive and stroll down to Marine Drive which is a beautiful passageway in Kochi, The Willington Island which is an artificial man-made island, Cherai Beach which is an ideal place for swimming, Munambam Beach, Parikshith Thampuran Museum and the Museum of Kerala. 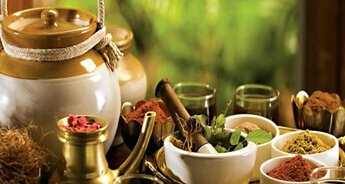 In the evening, we will walk through the shopping area of Kochi that includes handicrafts, spices and nuts. Here, one can also enjoy a Kathakali dance performance. Later return back to the hotel to have dinner and an overnight stay. In the morning, check-out from the hotel and transfer to railway-station for onward destination.